The crew transfer vessel (CTV) ordered by European Energy Group for the Sprogø offshore wind farm is set to be operational by April. 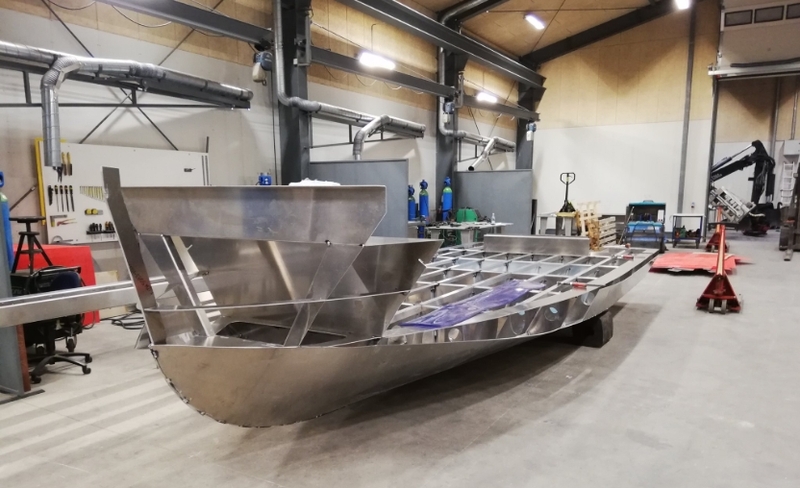 According to the Danish renewable energy specialist, the CTV is shaping up at Valling Ship Solution’s premises, but there is still some work to do. The order, which European Energy placed to Valling Ship Solutions in December 2018, marks the company’s entry into the ship owning and operating market. European Energy entered the offshore wind industry in March last year through the acquisition of the 21MW Danish offshore wind farm. Located in the Great Belt strait between the islands of Zealand and Funen, the wind farm comprises seven V90-3MW Vestas wind turbines which produce power equivalent to 16,000 households per year. The wind farm was officially commissioned at the end of 2009. It generates approximately 66 million kWh annually and is serviced by MHI Vestas.